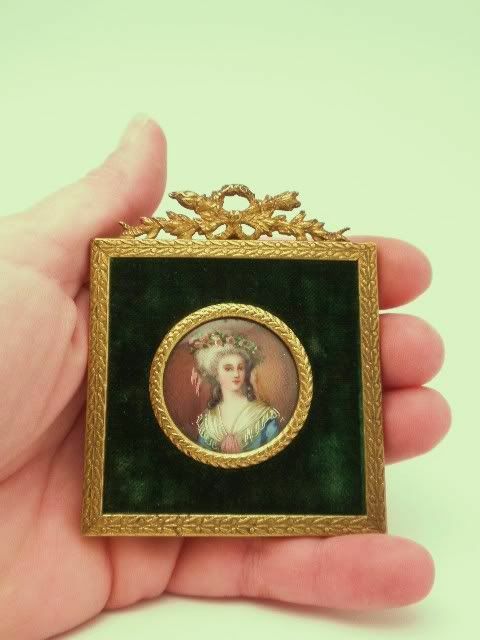 Ivory portrait miniature of Marie Antoinette. The portrait is handpainted on an ivory wafer. 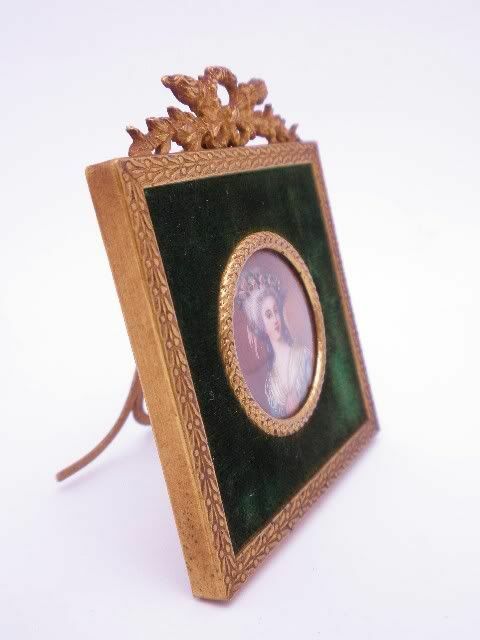 The ivory portrait is set in a ormolu frame with geen velvet insert. 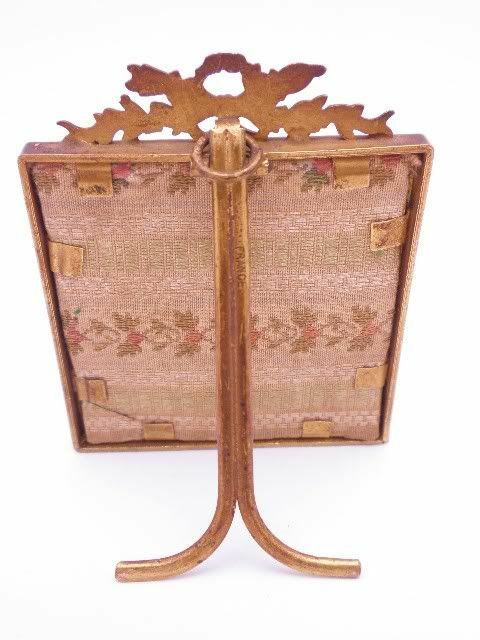 The frame measures 3" tall by 2 1/2" wide. 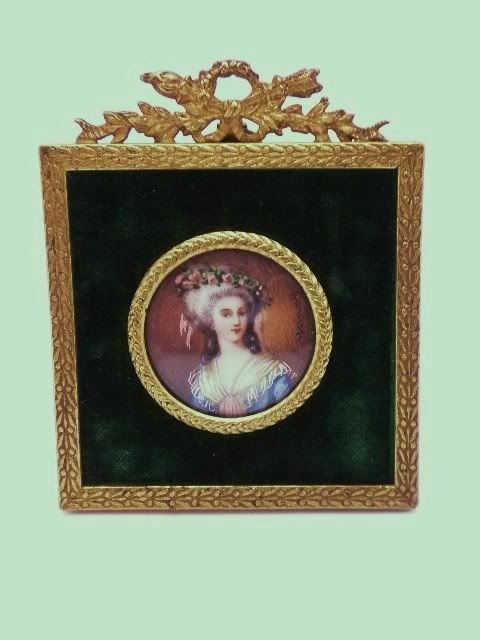 The handpainted ivory portrait is 1 1/4" in diameter and behind glass. The easel back is marked France. The miniature is signed and in excellent condition . We date the miniature to circa 1890-1900.